That’s what Róisín Shortall told the Dáil – but it’s little compared to the cost of tobacco-related healthcare. THE SMOKING BREAKS taken by Irish workers in the course of an average working day costs the Irish economy around €1m in lost effort, a junior minister has claimed. Junior health minister Róisín Shortall made the claim during Friday’s debates on the legislation that will see graphic new labels placed on cigarette packets in a bid to convince smokers to kick the habit. The €1m-a-day cost includes both wages paid to staff for time when they are taking breaks, and the value of the output that their companies cannot produce in their absence. The cost to the Irish economy pales in comparison to the cost to the public health service, however: Shortall also said that the health services would be spending a remarkable €23bn treating tobacco-related diseases in the coming decade. €1.2bn of this cost is recouped each year through the taxes levied on cigarettes, but the rest must be covered from the public purse. The legislation is set to be passed back to the Seanad this week where it should be passed before the summer recess. It is thought that the new packaging should expose smokers to the images over 7,000 times a year. Email “Smoking costs the Irish economy €1m a day - minister”. 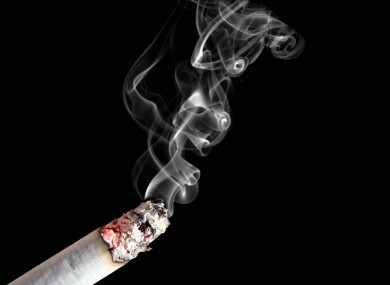 Feedback on “Smoking costs the Irish economy €1m a day - minister”.